Nothing is more important in business than what clients have to say about you AFTER your done with their project. We pride ourselves in providing each client with exactly what they where looking for, and truly appreciate when we recieve testimonials confirming this. Of course, if any client is unsatisfied in any way, we would also love to hear from them, so we may remedy any issues. "There are a lot of choices out there for good quality printers, and we have experimented with several of them - but we keep coming back to the best - you! You never cease to amaze me with the quality of your product, the turnaround time and your prices. Every time I contact you, your response is so quick and professional, and you have always gone out of your way to make sure we are thrilled with the work you produce." "I recently contacted Andy at Pro Print and asked him to print me some business cards on short notice. He did an awesome job and provided them in record time at an amazing price. Andy also has my pamphlet ready to print at a moments notice. He rocks! " "It is pleasure for me to confirm that your service is friendly and efficient, I ordered my business cards in a hurry, and you delivered them even quicker than I expected. Thanks!" 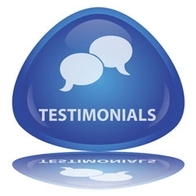 "We are so glad that we found Andy who is now without a doubt our go-to printing guru. Not only are his printing services cost effective and quick, but he also seeks to truly understand our businesses printing needs and makes recommendations that can help save us money and improve the quality of our marketing. He clearly values the relationship he has built with us as demonstrated by his willingness to get us material even on short notice. I would highly recommend Andy and Pro Print to anyone seeking quality printing at exceptional prices."